Bathroom accessories are a perfect way to set the theme and highlight the ambiance of the bathroom. Stick to the conventional accessories that are different to add fun, pizzas to the look and a classic appeal. Your choice of the accessories determines the look and appeal of the bathroom. When you shop for the accessories, you will come across stylish, trendy and funky accessories. If you think it is time to remodel the bathroom and give it a fresh look, it is important to know the latest trends. Top 5 accessories can really enhance the décor and make your bathroom a focal point. 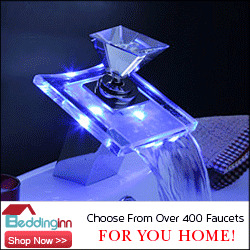 Looking to adorn your bathroom in a perfect manner? 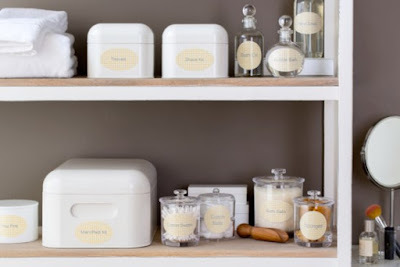 Do consider a bath set which comprises a soap dish, cotton jar, toothbrush holder and a soap dispenser. All the mentioned items of the bath set are of immense value and have great utility. Tissue box reflects healthy bathroom habit where your guests might feel fresh when they use fresh tissue to wipe their hands and faces. Your bathroom is sure to appear organized, neat and appealing with the proper bathroom set. Looking to add elegance, class and style to your personal zone? Exclusively designed mirror can help attain a perfect look. A mirror is worth considering in the bathroom as it can add the sense of completeness and luxury to the private zone. If you place the mirror strategically, it can foster a sense of expansiveness in your private chamber. While buying the mirror, look for designer mirrors only. Towels have more utilitarian value when compared to other accessories. So, there is no need to waste more paper in the form of napkins when there are towels. You may replace the towels every now and then to change the look of the bathroom and to add more color. Bathroom decoration is just like decorating the home and enhancing its interior. Thus, you need to be careful about your choice. Wall decal and shower curtains are the perfect way to compliment the theme of the bathroom. If you have an ocean themed bathroom, do go for decals carrying the shape of shell or fish along the bathroom wall base. You can further couple this up with ocean-styled curtains attain the right kind of look. A beautiful and decorative bathtub can fabulously enhance the appeal of the bathroom. Bathtubs and cubicles are available in various models and makes. You may choose among colourful ones, round and oval ones. Cubicles in stained glass are also a popular option. When you choose any bathroom accessory, try to be different. There is no dearth of innovative ideas as the internet is flooded with the list of bathroom accessories to enhance its décor. You can buy a stylish range of bathroom accessories from Tradewindsimports.com, which is a one-stop solution for any and every kind of bathroom vanities that can transform your simple and plain bathroom into a place, where you will love to recline at times and spend some time on your own.